The small, the tiny, and the infinitesimal (to quote Paramedic) have been the object of both fascination and vilification for millenia. One of the most vitriolic reviews in mathematics was that written by Errett Bishop about Keisler’s book Elementary Calculus: an Infinitesimal Approach. In this skit we investigate both the argument itself, and some of its roots in Bishop George Berkeley’s criticism of Leibnizian and Newtonian Calculus. We also explore some of the consequences to students for whom the infinitesimal approach is congenial. The casual mathematical reader may be satisfied to read the text of the five act play, whereas the others may wish to delve into the 130 footnotes, some of which contain elucidation of the mathematics or comments on the history. The work of V. Kanovei was partially supported by RFBR grant 13-01-00006. M. Katz was partially funded by the Israel Science Foundation grant no. 1517/12. The authors are grateful to Antonio Montalban for expert advice in matters of note 115. The influence of Hilton Kramer (1928–2012) is obvious. Bair, J., Błaszczyk, P., Ely, R., Henry, V., Kanovei, V., Katz, K., Katz, M., Kutateladze, S., McGaffey, T., Schaps, D., Sherry, D., & Shnider, S. (2013). Is mathematical history written by the victors? Notices of the American Mathematical Society, 60(7), 886–904. http://www.ams.org/notices/201307/rnoti-p886, http://arxiv.org/abs/1306.5973. Bascelli, T., Bottazzi, E., Herzberg, F., Kanovei, V., Katz, K., Katz, M., Nowik, T., Sherry, D., & Shnider, S. (2014). Fermat, Leibniz, Euler, and the gang: The true history of the concepts of limit and shadow. Notices of the American Mathematical Society, 61(8), 848–864. http://arxiv.org/abs/1407.0233. Borovik, A., Jin, R., & Katz, M. (2012). An integer construction of infinitesimals: Toward a theory of Eudoxus hyperreals. Notre Dame Journal of Formal Logic, 53(4), 557–570. doi: 10.1215/00294527-1722755. http://arxiv.org/abs/1210.7475. Borovik, A., & Katz, M., (2012). Who gave you the Cauchy–Weierstrass tale? The dual history of rigorous calculus. Foundations of Science 17(3), 245–276. doi: 10.1007/s10699-011-9235-x. http://arxiv.org/abs/1108.2885. Connes, A. Non-standard stuff. Blog (2007). http://noncommutativegeometry.blogspot.com/2007/07/non-standard-stuff.html. Dauben, J. (2003) Abraham Robinson. Biographical memoirs V. 82. http://www.nap.edu/catalog/10683.html. National Academy of Sciences. Goodstein, R. L. (1970) Review of (Bishop 1968). See http://www.ams.org/mathscinet-getitem?mr=270894. Kanovei, V., Katz, M., Mormann, T. (2013). Tools, objects, and chimeras: Connes on the role of hyperreals in mathematics. 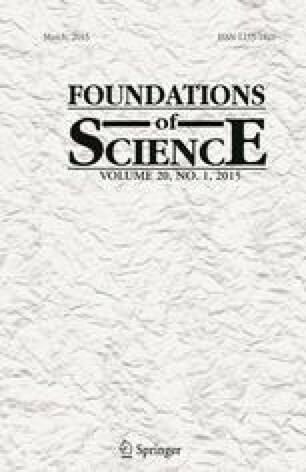 Foundations of Science, 18(2), 259–296. See doi: 10.1007/s10699-012-9316-5 and http://arxiv.org/abs/1211.0244. Katz, K., & Katz, M. (2010b). Zooming in on infinitesimal \(1-.9..\) in a post-triumvirate era. Educational Studies in Mathematics, 74(3), 259–273. http://arxiv.org/abs/arXiv:1003.1501. Katz, K., & Katz, M. (2012a). A Burgessian critique of nominalistic tendencies in contemporary mathematics and its historiography. Foundations of Science, 17(1), 51–89. doi: 10.1007/s10699-011-9223-1. http://arxiv.org/abs/1104.0375. Katz, K., & Katz, M. (2012b). Stevin numbers and reality. Foundations of Science, 17(2), 109–123. http://arxiv.org/abs/1107.3688. doi: 10.1007/s10699-011-9228-9. Katz, K., Katz, M., & Kudryk, T. (2014). Toward a clarity of the extreme value theorem. Logica Universalis, 8(2), 193–214. http://arxiv.org/abs/1404.5658. doi: 10.1007/s11787-014-0102-8. http://www.ams.org/mathscinet-getitem?mr=3210286. Katz, M., & Leichtnam, E. (2013). Commuting and noncommuting infinitesimals. American Mathematical Monthly, 120(7), 631–641. doi: 10.4169/amer.math.monthly.120.07.631. http://arxiv.org/abs/1304.0583. Katz, M., Schaps, D., & Shnider, S. (2013). Almost equal: The method of adequality from Diophantus to Fermat and beyond. Perspectives on Science, 21(3), 283–324. http://www.mitpressjournals.org/doi/abs/10.1162/POSC_a_00101. http://arxiv.org/abs/1210.7750. Katz, M., & Sherry, D. (2012). Leibniz’s laws of continuity and homogeneity. Notices of the American Mathematical Society, 59(11), 1550–1558. http://www.ams.org/notices/201211/. http://arxiv.org/abs/1211.7188. Katz, M., & Sherry, D. (2013). Leibniz’s infinitesimals: Their fictionality, their modern implementations, and their foes from Berkeley to Russell and beyond. Erkenntnis, 78(3), 571–625. doi: 10.1007/s10670-012-9370-y. http://arxiv.org/abs/1205.0174. Katz, M., & Tall, D. (2013). A Cauchy–Dirac delta function. Foundations of Science, 18(1), 107–123. doi: 10.1007/s10699-012-9289-4. http://www.ams.org/mathscinet-getitem?mr=3031797, http://arxiv.org/abs/1206.0119. Keisler, H. J. (2007). Foundations of infinitesimal calculus. On-line Edition. https://www.math.wisc.edu/keisler/foundations.html. McLarty, C. (2011). A finite order arithmetic foundation for cohomology, preprint. http://arxiv.org/abs/1102.1773. Mormann, T., & Katz, M. (2013). Infinitesimals as an issue of neo-Kantian philosophy of science. HOPOS: The Journal of the International Society for the History of Philosophy of Science, 3(2), 236–280. http://www.jstor.org/stable/10.1086/671348. http://arxiv.org/abs/1304.1027. Sanders, S. (2014). Algorithm and proof as \(\Omega \)-invariance and transfer: A new model of computation in nonstandard analysis. http://arxiv.org/abs/1404.0080. Sherry, D., & Katz, M. (2012). Infinitesimals, imaginaries, ideals, and fictions. Studia Leibnitiana, 44(2), 166–192. http://arxiv.org/abs/1304.2137.